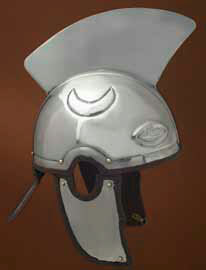 inner circumference of this helmet varies slightly, but the standard size is around 24 inches. based on the similar two halves "ridge" helmets of Rome's enemy, the Sassanian Perisan empire. This page was last modified on 2 May 2014, at 17:39.